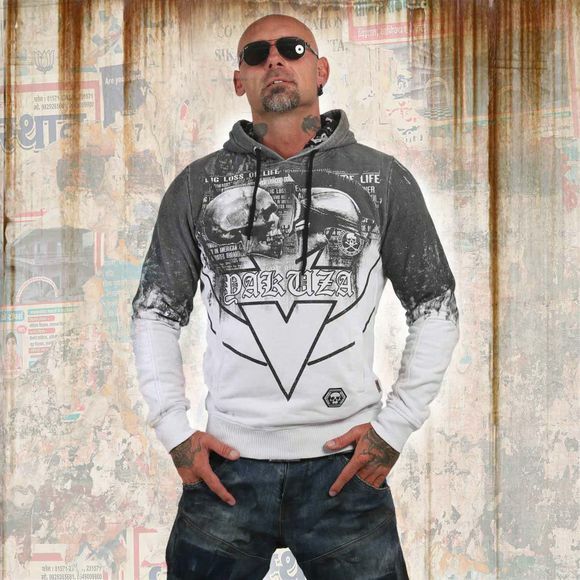 YAKUZA HANGMAN men's hoodie with zip-up front. A classically styled zip hoodie featuring a drawcord adjustable hood, contrasting panels and two front pockets. 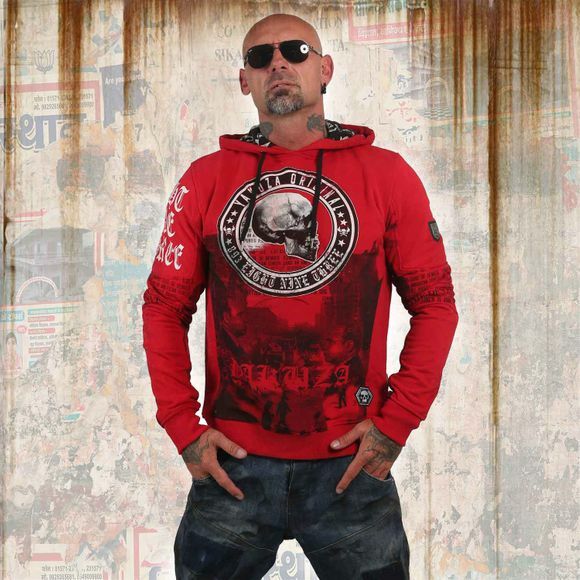 The zip hoodie is finished with ribbed ribbed cuffs and hem, vintage print designs as well as a woven logo tab near hem and a Yakuza Skull leather tab on side seam. Extremely comfortable to wear thanks to supersoft cotton. Please watch out for our size specifications and the washing instructions below.